As long as you've got a PlayStation 4. Activision has announced that the Jackal Assault VR Experience will be available, for free, for all PS4 owners. Jackal Assault is the standalone virtual reality component of its latest game, Call of Duty: Infinite Warfare. 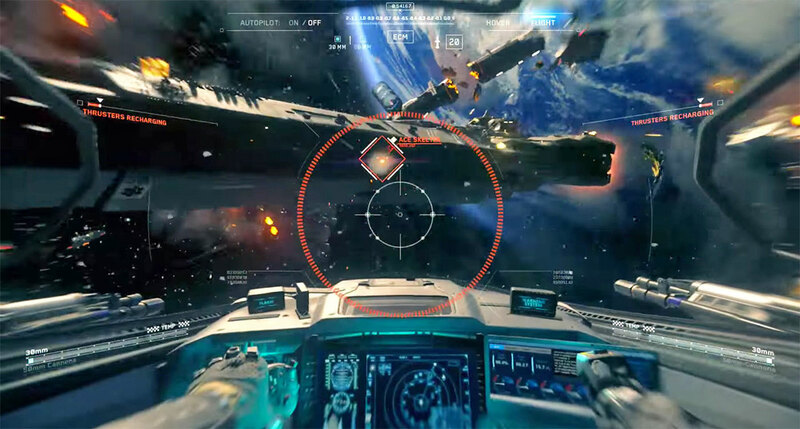 The short level sees you piloting a Jackal fighter jet as it gets shot into space for a spot of, uhm, infinite warfare. Previously, it was assumed that only those who bought Infinite Warfare would be able to access the level. But now it's been opened up to everyone who owns a PlayStation 4, although you'll need PlayStation VR to actually use it. Still, it'll be fun just to relive the halcyon days of space combat, Wing Commander-style, even if it is just for a few minutes at a time. If you're looking to trying out the title, head over to the PlayStation VR area in the PlayStation Store and select Call of Duty: Infinite Warfare - Jackal Assault VR Experience. Happy flying.